Independence Day is celebrated in Libya on December 24. This holiday marks the anniversary of the Libyan independence declaration from British and French oversight in 1951. Libya became Italian colony after the end of the Italo-Turkish War. From 1912 to 1927 territory of Libya was known as Italian North Africa, and then it was divided into two colonies, Italian Cyrenaica and Italian Tripolitania. Italy lost control of Libya during World War II, when Italy was occupied by the Allies. Britain controlled Cyrenaica and Tripolitania, while France administered Fezzan. In 1947 Italy signed the peace treaty, relinquishing its claims to Libya under its terms. 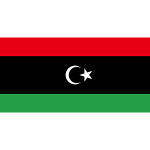 In 1949 the UN General Assembly declared, that Libya should gain independence by January 1, 1952. On December 24, 1951 Libya declared independence form British and French oversight and became known as the United Kingdom of Libya. For a long time Libyans didn't celebrate this holiday at the state level. Under Muammar Gaddafi's rule only the 1969 coup that led him to power was marked. In 2011 Libyans were able to celebrate Independence Day for the first time.